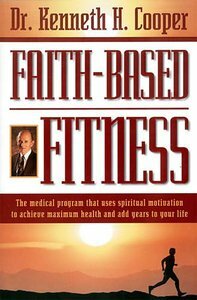 Dr Kenneth Cooper.Dr Cooper reveals the link between spirituality and exercise and nutrition:to enable you to live a longer, more energetic life, lower the risk ofheart disease and cancer, develop a stronger immune system, handle stress,balance your emotional outlook, and experience fewer backaches andheadaches. 248 pages, from Nelson. If you find yourself talking about health and fitness, but never achieving your goal, take heart?you're not alone. Research shows that in spite of the fitness craze and constant studies showing the value of exercise and proper nutrition, nearly forty-eight million adults in the United States lead sedentary lives, with one third of us overweight.